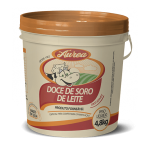 Milk and / or reconstituted milk powder, whey and / or whey reconstituted milk powder and / or whey milk concentrate, sugar, glucose, cocoa powder, vegetable fat and starch. thickener: pectin. stabilizing: sodium citrate and sodium bicarbonate. Preservative: potassium sorbate. flavoring: aroma identical to natural chocolate. Obs. 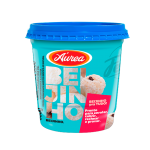 : ALLERGIC: CONTAINS MILK, DERIVATIVES OF MILK AND SOY. MAY CONTAIN PEANUTS. CONTAINS LACTOSE. GLUTEN-FREE. CONTAINS FAT VEGETABLE. It contains synthetic flavoring identical to natural. Portion of 20g (2 pastry); Energy value 69kcal = 290kJ (3%CEO); carbohydrates 13g (4%CEO); protein 1.0g (1%CEO); Total Fat 1.4g (3%CEO); Saturated fat 0.6g (3%CEO); sodium 33mg (1%CEO). It does not contain significant amounts of trans fats and dietary fiber. *% Percent Daily Values ​​are based on a diet of 2000kcal or 8400kJ. Your daily values ​​may be higher or lower depending on your calorie needs. 1. In blender place the butter and sugar, whisk until light and fluffy form, add the eggs gradually and beat again. 2. In a bowl add the flour, the cocoa powder and baking powder. 3. Reduce the mixer speed and go putting the dry ingredients alternating with milk. 4. The mixture into three round pans 18cm in diameter and Bake in a preheated oven for about 20 minutes. 5. The cake is ready when prodding the dough with a toothpick comes out clean it. 1. 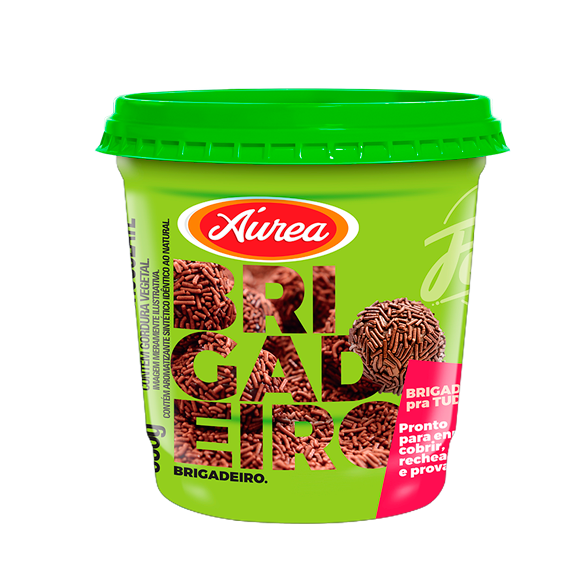 In a glass bowl place the BRIGADEIRO GOLDEN, the cream and semisweet chocolate. 2. Bake in microwave for 1 minutes and 30 seconds, stir well to incorporate ingredients. 3. If necessary, heat a little longer to melt and chocolate. 4. 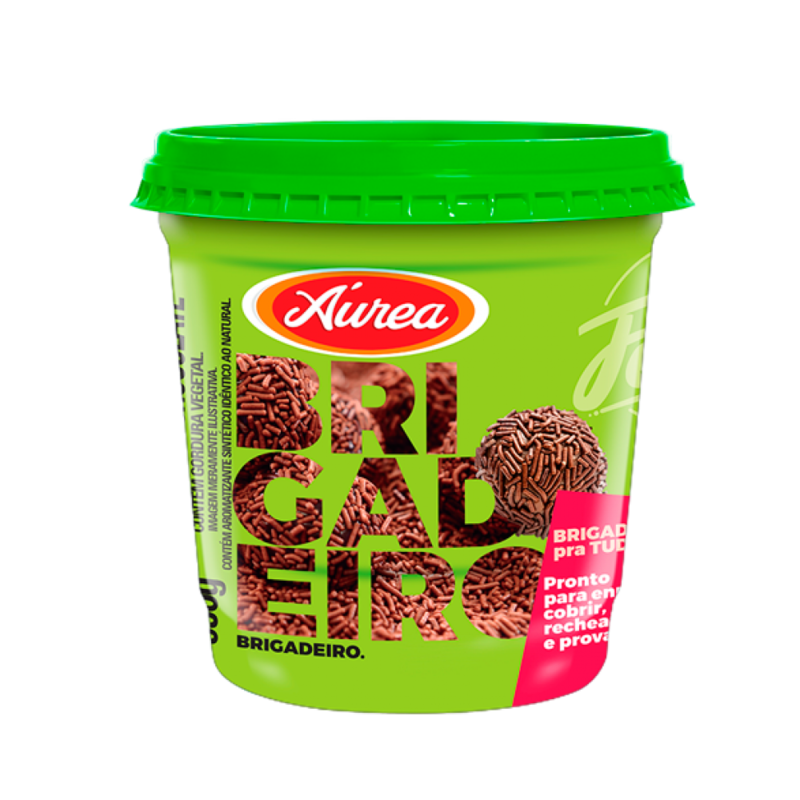 Hydrate the gelatin according to manufacturer's directions and add to the cream of brigadier. 5. Using an electric mixer place the vegetable cream whipped cream and cocoa powder, beat until out a squishy cream. 1. Place a disk of dough into a 18cm diameter rim. 2. Fill with mousse brigadier, Repeat the process until the last layer is Cake. 3. Take to the refrigerator to firm up the filling. 4. 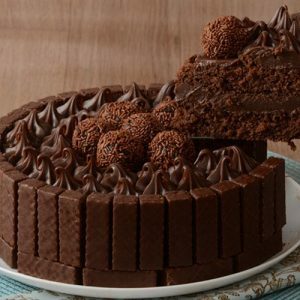 Remove the rim of the cake and place in a larger ring, between 19 in diameter and 20cm. 5. Pour the mousse rest covering the whole cake, light to the refrigerator to firm well. 6. Remove the rim, decorate to your taste and serve.